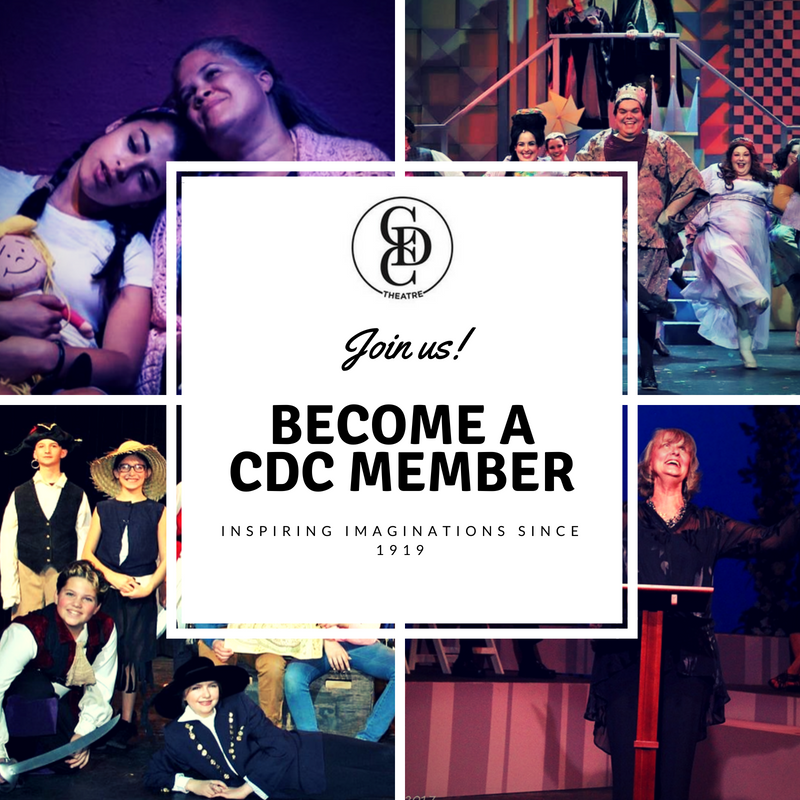 For a small annual fee and a few volunteer hours, you can be a member of The Cranford Dramatic Club and help us in our mission to inspire imaginations. As a member you receive free tickets to shows, invitations to special events, and offers not available to the general public. Click the image on the right, or call 908-276-7611 or email info@cdctheatre.org for more information. Can you work a sewing machine? Are you Picasso with a paintbrush? The Cranford Dramatic Club is always looking for dependable volunteers. Whether you have an hour a week, an hour a month, or an hour a year to spare, we can find a volunteering opportunity to fit your particular schedule and skill set. Volunteering opportunities include, but are not limited to, production crew (set building, painting, and dressing, running crew, stage managing) and front of house (concessions, ushers, ticket sales, and marketing). Call 908-276-7611 or email: info@cdctheatre.org. Every dollar counts! Help The Cranford Dramatic Club continue to fulfill its mission to bring the highest quality and most affordable live theatre experience to the Cranford, New Jersey area. The Cranford Dramatic Club is seeking partnerships with corporations to provide quality, affordable live theater to our audiences. Corporate show sponsorships are a cost-effective way to support the Cranford Dramatic Club's mission while receiving recognition and exposure for your company’s generosity. For more information download the Corporate Sponsorship form. The Cranford Dramatic Club is a 501(c)(3) non-profit organization.